I think I have a better sense of my weaknesses – being self-important, selfish and having a big ego probably triggers all the other stuff. I can see myself more clearly. I think I have allowed my voice to experiment with the different genres. And I think that I have just really enjoyed the journey of getting to know my voice and seeing what it’s capable of, what it’s not capable of. I feel like at 50 I’ve decided to become a rock star, which is, you know, typical of me. I always seem to work backwards. Life is so impermanent that it’s not about somebody else or things around me, it’s about knowing you are completely alone in this world and being content inside. I mean, I am fully aware of my influence and my responsibility to society in general representing the gay community. But in the same time, I don’t represent the entire gay community because it’s a vast, vast community, as one can imagine. I just really allowed my muse to be my guide and I just go with whatever I’m feeling. When women make their image about youth and s*xuality, and not about intellect, that’s kind of a dead-end road. So I think it’s a combination of self-entrapment and entrapment by society. My public image is so low-key, but I get to travel the world and still have an audience and it’s really amazing. I don’t take that for granted. We’re in a period where society seems very attracted to flash, and that seeps into people’s musical taste. There needn’t be a distinction between your life and your music. There are days when I still want to be able to do what I want when I want, but there’s also something wonderful about being secure. Television really has been my vehicle. I don’t get played on the radio much, so I’ve relied on TV a lot. Spend time reflecting on your emotional and physical existence and how that applies to the voice. You have to apply that wisdom and experience when you sing – it’s what comes through. Minimal is the word I’d use to describe how I live and dress, and it’s also how I sing. I’m not a big fan of overemoting. It’s just a theory really, but I have always thought that your physical surroundings can shape your voice and personality. It was kind of easier for me to do records that didn’t take a year or two years of my life to write and to make. I’m nearly 50. I’m past being photographed falling out of bars. I’m a singer and as long as I can sing – which, thank God, is something that I still seem to be able to do – I’d like to carry on making records. I wanted to write songs that would play themselves on stage, songs that sweep you through their current. 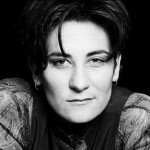 Lang has won both Juno Awards and Grammy Awards for her musical performances; hits include "Constant Craving" and "Miss Chatelaine". She has contributed songs to movie soundtracks and has teamed with musicians such as Roy Orbison, Tony Bennett, Elton John, Anne Murray and Jane Siberry. Lang is also known for being an animal rights, gay rights, and Tibetan human rights activist. She is a tantric practitioner of the old school of Tibetan Buddhism. She performed Leonard Cohen's "Hallelujah" live at the opening ceremony of the 2010 Winter Olympics in Vancouver, Canada.